It’s been a little over a month since Disney released Avengers: Infinity War – 48 days to be exact – and the film is still making box office waves. After opening to recording breaking numbers, the sequel has crossed the $2 billion mark. And that gives Disney plenty of reasons to celebrate. More on the story below. Deadline was one of the first to report on the news. That is a pretty nice club to be in. I guess James Cameron has a legitimate gripe with superhero films when they are stepping on his $2 billion turf. Joking aside, it seems funny that two Cameron films and two Disney films have the only $2 billion spots. 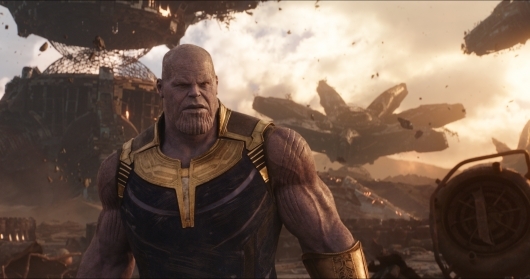 Here in the states, Infinity War has made $656 million. Not a bad haul. And according to Box Office Mojo, Infinity War was number one for three consecutive weeks, and has remained in the top five since its release. There was a time where Black Panther was still mucking it up with The Avengers. How funny is that? In addition, Black Panther is still the highest grossing domestic Marvel film, checking in at $699.4 million. Now Infinity War has set the bar pretty high for the currently untitled sequel, which is due to hit theaters later next year. By then most people will likely have watched Infinity War and wants to know how it will all end. Because let’s be honest, the Avengers aren’t just going to take what happened sitting down. The not yet titled Avengers 4 opens on May 3, 2019. And just in case you missed it, you can check out our review and previous coverage of the film here as well.